Minister of Public Enterprises Pravin Gordhan has told Parliament in a written reply that Eskom has dealt with 16 cases of serious offences at power utility Eskom including arson, bomb threats, malicious damage to property and intimidation. Congress of the People leader Mosiuoa Lekota asked Gordhan “whether his department or Eskom has launched any investigations into incidents of violence and intimidation, the destruction of property and acts of outright sabotage during the current Eskom wage dispute”. During the latest months-long wage negotiations at Eskom, the power utility and trade union Solidarity accused workers demonstrating at Eskom operations of sabotage and intimidation, an allegation that the National Union of Metalworkers of South Africa (Numsa) has denied. Numsa signed the wage deal in late October. The power utility also previously told Parliament that the strikes and work stoppages that took place during wage talks were the "worst industrial action in 28 years" at the utility, and directly contributed to load shedding. 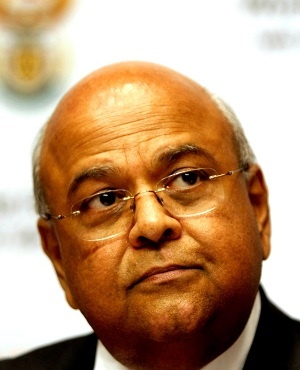 In his reply Gordhan said investigations were underway and that Eskom would ensure that all disciplinary and criminal procedures were duly conducted and concluded. “Eskom has launched investigations into the incidents of violence and intimidation, the destruction of property and acts of outright sabotage during the current Eskom wage dispute,” said Gordhan. The minister said the identification of employees involved had started through video footage and information from victims. Six cases were filed at KwaZulu-Natal distribution sites for bomb threats, housebreaking with intent to damage equipment and sabotage. A generation division in Mpumalanga was pursuing a case of theft. Other cases filed in Mpumalanga were for intimidation, malicious damage to property, arson and public violence. Thus far only an intimidation and malicious damage to property case in Arnot, Mpumalanga has been closed, while all the remaining cases are in progress, said Gordhan.